El Departamento de Estado de EE.UU. concedió su premio anual de Defensores de los Derechos Humanos a Foro Penal, una organización de abogados y defensores de los derechos humanos que realiza labores de asesoría y defensa legal. 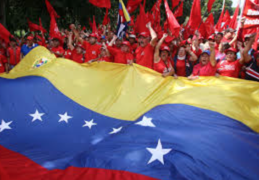 “Gracias a su meticulosa documentación, el mundo entero vio, y el Gobierno venezolano no pudo negar de forma creíble, las violaciones de derechos humanos que ocurrieron durante las protestas” antigubernamentales que vivió Venezuela durante la primera mitad de 2014, dijo el subsecretario de Estado de EE.UU., Anthony Blinken. El premio busca destacar el trabajo de la sociedad civil “que persevera frente a la represión gubernamental”, añadió Blinken en el acto de entrega del galardón. “El riesgo para Foro Penal es muy real, pero su trabajo sigue adelante”, afirmó el alto funcionario estadounidense, quien dijo que integrantes de la organización han sido “acosados, detenidos o agredidos físicamente”. Blinken entregó el premio, consistente en una placa conmemorativa, al fundador y director de Foro Penal Venezolano, Gonzalo Himiob, y al director ejecutivo de la ONG, Alfredo Romero. La organización aceptó el premio en nombre de los “compañeros que defienden los derechos humanos en Venezuela”, en palabras de Romero. “Lo que queremos ver es que aquellas personas que han sido detenidas arbitrariamente salgan de prisión. El mejor premio sería que los 75 prisioneros políticos que hay en el país puedan salir y tener un sistema judicial independiente, que trabaje para el pueblo y no como un arma para la persecución política”, afirmó Romero. El director ejecutivo de Foro Penal dijo en inglés que su organización ha “aprendido a luchar cada día contra el miedo”, porque “el miedo paraliza”. “No hay que hacer justicia por nuestra propia mano, pero está en nuestras manos hacer justicia”, concluyó Romero. El Departamento de Estado entregó también el mismo galardón a Azimjon Askarov, periodista y activista por los derechos humanos de Kirguistán, por sus esfuerzos por la paz en la república centroasiática entre uzbekos y kirguís. Askarov sigue preso, por lo que su hijo fue el encargado de recoger el reconocimiento. Una commissione dell'Onu sta indagando a Baghdad sui casi di tortura avvenuti nelle carceri. Uno dei membri della commissione internazionale, Alessio Bruno, ha spiegato all'emittente televisiva "al Jazeera" che "il codice penale iracheno non prevede il reato di tortura e non è possibile nel paese processare in modo adeguato i responsabili di questo reato". L'ispettore dell'Onu si chiede dunque "come può un giudice condannare per un reato che non esiste?". A questa operazione di indagine sta partecipando anche il viceministro iracheno per i Diritti umani, Abdel Karim al Janabi, il quale ha promesso di "portare il parlamento ad aprire un dibattito su questo tema". N'Djamena - Chad reintroduced the death penalty just six months after its abolition on Thursday, as legislators passed a stringent anti-terror bill in the face of a spate of deadly Boko Haram attacks. After suffering two suicide bombings in a month, including one in a bustling market in the capital N'Djamena, Chad has beefed up security in recent weeks. It has already banned the wearing of the full Islamic veil, and on Thursday local authorities in the capital imposed a ban on begging. The government's draft law had raised fears among opponents and rights activists that it might be used to curtail freedoms, and legislators took its proposals much further, toughening sentences and giving the police greater powers in cases of suspected terrorism. Beyond capital punishment for the most serious cases, penalties for lesser terror offences were increased to life from the current maximum of 20 years, and the duration for which suspects can be held by police without charge will be increased from 48 hours to 30 days, renewable twice. Lawmakers passed the law unanimously, with 146 votes for and zero against, including zero abstentions. At least 40 or so deputies were absent, however, in a national assembly dominated by the ruling party of President Idriss Deby, who has held power since 1990. 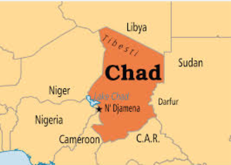 Chad has helped spearhead a major regional offensive launched in early 2015 to fight the Nigerian militants, and N'Djamena is now set to host the headquarters of a new, more efficient multinational task force created in the face of a fresh surge of attacks. Opposition leader Saleh Kebzabo declared he was "relatively satisfied" with the law, as deputies had amended one article derided for an overly vague definition of terrorism. A provision to safeguard freedom of expression and human rights was added to the final draft. "No one wants terrorism," Kebzabo had said earlier, adding that the fight against Boko Haram has come as a "windfall to the Chadian government" and "allows for the organisation of repression before the presidential vote" slated for next year. In June 2005, a constitutional revision adopted following a controversial referendum scrapped the limit to two five-year presidential terms. Itno was re-elected in 2006 and again in 2011. Chad has taken steps to increase security since suicide attacks struck a school and a police building in N'Djamena in June, killing 38 people, and again in July, killing 15 in a market. 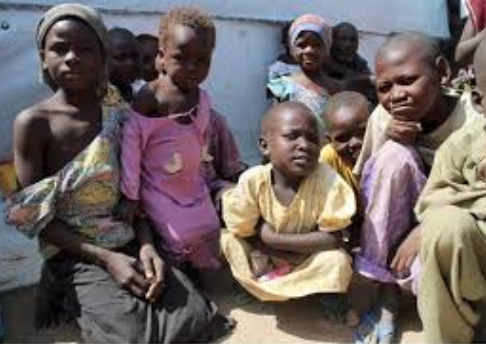 On Thursday, authorities in N'Djamena banned begging in the capital a week after two girls who were begging blew themselves up in neighbouring Cameroon. In a country where Muslims make up 53% of the population - with Christians accounting for 35% - the ban on the veil, including the face-covering burqa, prompted mixed reactions. The tough prohibition was a first in Africa, but several regions of Cameroon and Niger have since followed suit. On Thursday, N'Djamena mayor Ali Haroun also ordered bars to shut at 22:00, except on Saturdays and on the eve of public holidays, when they are allowed to stay open until midnight. In Cameroon, a 12-year-old girl suicide bomber killed 20 people last Saturday night in an attack on a bar in Maroua, which is situated southwest of the border from N'Djamena. Raids and arrests by the security forces have shot up in recent months, with reports of hundreds of people detained in N'Djamena alone. Amnesty International has condemned the "total impunity" in which serious rights violations take place in Chad. "Human rights defenders, journalists and trade unionists were victims of harassment, intimidation, arbitrary arrest and detention," the London-based rights group said in its annual report for 2014-2015. E’ accaduto a Kfar Douma, un villaggio della provincia di Nablus. Il nome del piccolo morto è Ali Dawabsha, 1 anno e mezzo. I genitori e un fratellini ricoverati in ospedale per le ustioni. Kfar Douma (Nablus) – Un bimbo palestinese di un anno e mezzo, Ali Dawabsha, è morto carbonizzato nell’incendio doloso della sua abitazione causato dal lancio, questa mattina all’alba, di bottiglie molotov da parte di un gruppo di quattro coloni israeliani entrati nel villaggio di Kfar Douma, nella provincia di Nablus. I suoi genitori e un fratellino di 4 anni, Ahmad, sono stati ricoverati in ospedale per gravi ustioni, secondo quanto riferiscono fonti locali. Secondo quanto raccontato da testimoni, i coloni avrebbero agito poco prima dell’alba. Sui muri delle abitazioni prese di mira hanno lasciato scritte come “Vendetta” e “Lunga vita al Messia”, poi hanno lanciato delle bottiglie incendiarie. Le fiamme hanno subito avvolto le case. Chi era all’interno ha avuto pochi attimi per scappare. Il padre è riuscito a mettere in salvo la moglie e un figlio di quattro anni ma non il piccolo Ali Dawabsha a causa delle fiamme e del fumo. Qualcuno ha poi raccontato di aver visto i quattro fuggire in direzione della colonia di Maale Efraim. Lo stesso esercito israeliano parla di atto di terrorismo e l’attacco è stato condannato anche dal primo ministro Benyamin Netanyahu e dal ministro dell’istruzione Naftali Bennett, leader del partito ultranazionalista Casa Ebraica che rappresenta il movimento dei coloni. Gli attentatori che potrebbero aver colpito per vendicare le demolizioni di due edifici nella colonia di Bet El, vicino Ramallah, ordinata due giorni fa dalla Corte suprema israeliana. “Israele e’ responsabile ”di questo crimine odioso” ha protestato Nabil Abu Rudeina, portavoce del presidente palestinese Abu Mazen. L’Autorità nazionale palestinese accusa il governo Netanyahu di aver aiutato in ogni modo la colonizzazione, di aver garantito impunità ai coloni e per questo intende rivolgersi alla Corte penale internazionale. 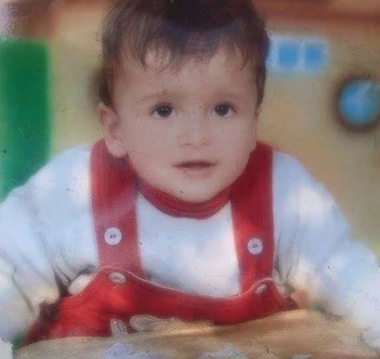 A one-and-a-half year-old Palestinian baby was burned to death and three of his family members were seriously wounded late Thursday night after a house was set on fire in the village of Douma, near Nablus. According to reports, settlers were those who set the house on fire after targeting it with firebombs and graffiti. The Israeli military called the attack "Jewish terror." At roughly 4 am Friday morning, two masked men arrived at two homes in the village of Douma, not far from the settlement of Migdalim. They spray painted graffiti reading "revenge" and "long live the Messiah" in Hebrew, breaking the windows of the homes and throwing two firebombs inside. One of the two homes was empty at the time, but there was a family in the second: the child that died, Ali Saad Daobasa, his father Sa'ad, mother Reham, and 4-year-old Ahmed. The four were evacuated to a hospital in Nablus in the West Bank and then to the burn unit at Sheba Medical Center, Tel Hashomer. Jewish extremists are suspected to be behind the attack. 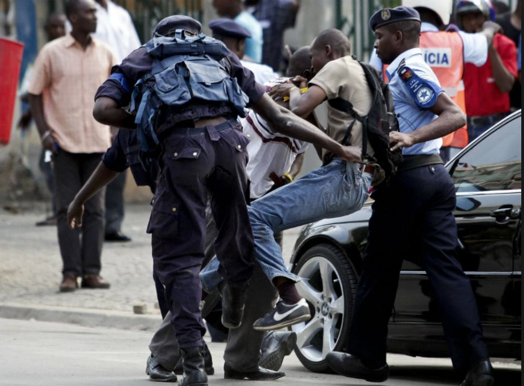 Una decina di attivisti per i diritti umani e militanti di opposizione sono stati arrestati a Luanda mentre partecipavano a una manifestazione per chiedere il rilascio di 14 compagni detenuti da oltre un mese con l’accusa di aver “attentato alla sicurezza dello Stato”. Fonti di stampa riferiscono che, in caso di condanna, i giovani rischiano fra i tre e i 12 anni di carcere. Tra i 14 militanti in carcere dal 20 giugno figura il rapper Luaty da Silva Beirão e i fondatori dell’associazione Movimento rivoluzionario Manuel Nito Alves e Mbanza Hamza. Da ormai 36 anni, l’Angola è guidata da José Eduardo dos Santos. The Catholic Church called on the Pakistani government to reinstate its moratorium on the death penalty a day after eight more convicts were executed in Punjab province. 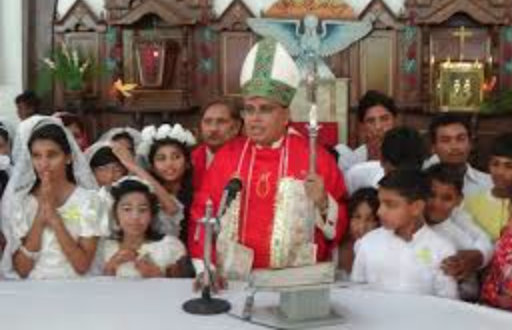 “The Catholic Church values human sanctity and believes nobody should have the right to take life (…) We strongly oppose capital punishment, especially so since the legal system in Pakistan is flawed", said Cecil Chaudhry, executive director of National Commission for Justice and Peace (NCJP), the Pakistan Church’s human rights body, deploring the execution of Aftab Bahadur Masih, a Christian death row inmate who was hanged just before the start of Ramadan last month despite serious doubts about his age. Masih's family says he was just 15 when he was alleged to have committed murder. The appeal of the Church to halt executions comes after a similar call made by the United Nations shortly before the eight convicts were put to death on July 29. The UN also called for Pakistan to commute without delay the sentences of those awaiting execution. “The death penalty is an extreme form of punishment and, if used at all, should only be imposed for the most serious crimes, after a fair trial that respects the most stringent due process guarantees as stipulated in international human rights law”, said Christof Heyns, the UN Special Rapporteur on extrajudicial, summary or arbitrary executions. Heyns also drew attention to the case of Shafqat Hussain, whose trial fell short of international standards, according to the UN rapporteur. 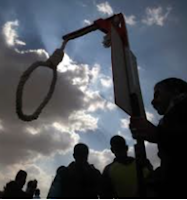 Convicted for a crime reportedly committed as a child, Hussain is scheduled to be executed on August 4. La Chiesa cattolica ha chiesto al governo del Pakistan di ripristinare la moratoria sulla pena di morte dopo che ieri altri otto detenuti sono stati giustiziati nella provincia del Punjab. “La Chiesa cattolica apprezza la santità dell'uomo e crede che nessuno dovrebbe avere il diritto di togliere la vita. (…) Ci opponiamo con forza alla pena capitale, specialmente perché, al momento, il sistema giuridico in Pakistan è imperfetto", ha detto Cecil Chaudhry, direttore esecutivo della Commissione nazionale di pace e giustizia (Ncjp) della Chiesa in Pakistan, deplorando l'esecuzione di Aftab Bahadur Masih, un cristiano condannato a morte che è stato impiccato il mese scorso poco prima dell'inizio del Ramadan nonostante seri dubbi sulla sua età. La famiglia del condannato, Masih, ha sempre sostenuto che aveva solo 15 anni quando fu accusato di aver commesso un omicidio. L’appello della Chiesa per fermare le esecuzioni ha fatto eco a un simile appello rivolto dalle Nazioni Unite poco prima che gli otto detenuti fossero messi a morte. Allo stesso tempo, l'Onu ha chiesto al governo pachistano di commutare senza indugio le sentenze di quelli in attesa di esecuzione. "La pena di morte è una forma estrema di punizione e, se utilizzata, dovrebbe essere solo per i crimini più gravi, dopo un giusto processo che rispetti le severe garanzie richieste dal diritto internazionale dei diritti umani" ha dichiarato Christof Heyns, relatore speciale delle Nazioni Unite sulle esecuzioni extragiudiziali, sommarie o arbitrarie. Heyns ha anche richiamato l'attenzione sul caso di Shafqat Hussain, il cui processo, dice, non ha rispettato le norme internazionali. Shafqat è condannato per un crimine commesso quando era minorenne e dovrebbe essere giustiziato il 4 agosto. Il 13 luglio l’ultimo uomo in attesa di esecuzione in Belize, Glenford Baptist , ha ottenuto la commutazione della condanna a morteda parte della Corte suprema. Così, a 30 anni dall’ultima esecuzione nell’ex colonia britannica situata in America centrale – quella di Kent Bowers, impiccato per omicidio il 19 giugno 1985 – il braccio della morte è ora vuoto. 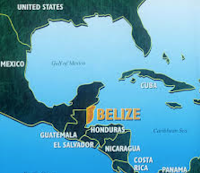 Belize continua a resistere alle richieste delle Nazioni Unite e delle organizzazioni per i diritti umani di abolire la pena di morte. Ma lo svuotamento del braccio della morte e l’improbabilità che, a distanza di tre decenni, il boia torni in azione, fanno sperare che una legge abolizionista venga approvata presto. Nel 2015 il numero dei paesi che hanno abolito la pena di morte per tutti i reati ha superato il numero di 100. Con l’abolizione nelle isole Figi, Madagascar e Suriname, siamo arrivati a 101. Otto detenuti condannati a morte per omicidio sono stati impiccati oggi in diverse prigioni del Punjab, nel Pakistan centrale. Lo riferisce la tv Samaa. Tre uomini sono saliti al patibolo nel penitenziario di Attock, mentre gli altri in cinque carceri della provincia. Dallo scorso dicembre, quando il governo ha sospeso una moratoria volontaria di sei anni sulle esecuzioni, sono stati giustiziati 180 detenuti. 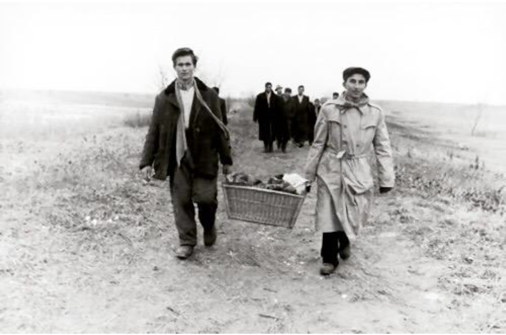 Nel braccio della morte delle prigioni pachistane ci sarebbero circa 8 mila persone. Per il 4 agosto a Karachi è prevista l'impiccagione di Shafqat Hussain, un sospetto assassino che aveva meno di 18 anni all'epoca del suo delitto e che sostiene di essere stato torturato per confessare il reato. Il caso ha sollevato le critiche delle associazioni di difesa dei diritti umani come Human Rights Watch che ha rivolto un appello perché gli sia concesso la grazia presidenziale. Terminerà entro agosto la costruzione della barriera di separazione tra Ungheria meridionale e Serbia, una struttura che, nelle intenzioni del governo di Budapest, fermerà l’immigrazione illegale. L’annuncio di qualche giorno fa è arrivato dal premier Orban, che ha definito gli immigrati irregolari una minaccia per tutta l’Europa, accusando l’Ue di non far nulla per difendersi. Viktor Orban sfida l’Europa e difende le sue politiche anti-immigrati, addirittura anticipando la fine della costruzione della barriera, annunciata per novembre e ora prevista per il mese prossimo. 176 chilometri, per un’altezza di 4 metri, tutta realizzata in metallo, la struttura, secondo Budapest, dovrà fermare tutti coloro che tenteranno l’ingresso illegale dalla Serbia. “La situazione è molto complicata. Sono a Szeged, a 5 chilometri dalla frontiera con la Serbia e qui sperimentiamo e sentiamo tutto in modo diverso. Ogni giorno quasi 1.500 persone attraversano la cosiddetta “frontiera verde”, quindi non i punti ufficiali, ma il fiume, i campi, le foreste. Più di mille persone ogni giorno! Circa la metà sono realmente profughi, perseguitati, persone in pericolo e davvero bisognose, ma l’altra metà sono persone che quando arrivano e vengono fermate si scopre che hanno con loro cellulari e almeno 4-5 mila euro. Per questo dobbiamo essere molto attenti. Siamo obbligati, specialmente la Chiesa ovviamente, a dare ogni aiuto umanitario possibile ai profughi e ai bisognosi, ma dobbiamo anche pensare: la prudenza cammina sempre insieme alla carità, non sono contrapposte. Noi, come diocesi, abbiamo una Casa di accoglienza per profughi minorenni, ci sono psicologi esperti in pedagogia e in assistenza medica, ci sono assistenti sociali e facciamo di tutto per praticare davvero la carità cristiana. Questo è evidente! Ma dobbiamo anche pensare e cercare di proteggerci in qualche modo. Non è un problema ungherese: è un problema europeo! Se nessuno farà nulla, la situazione diventerà sempre più pericolosa di giorno in giorno”. 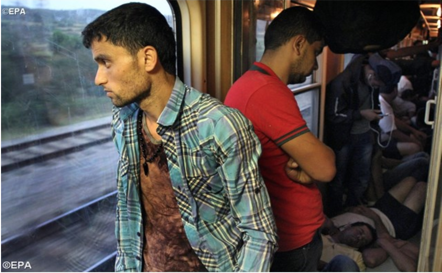 In Europa intanto è ancora polemica per le foto-choc dei migranti, tra loro donne e bambini, trasportati nei campi di accoglienza stipati su treni chiusi. Per lo più afghani e siriani, hanno viaggiato con un intercity da Pecs, nel sud del Paese, fino a Budapest con le porte chiuse per decisione delle ferrovie: per evitare che le persone scendessero e fuggissero. E se i media locali hanno criticato il provvedimento, così non sembra abbiano fatto i cittadini. “Forse la preoccupazione della maggior parte degli ungheresi è un po’ diversa rispetto allo shock provato dai lettori dei giornali europei. Una cosa è sicura: noi riteniamo di attraversare un momento di crisi e quotidianamente ci arrivano i numeri e le notizie relative a questo fenomeno di immigrazione, in maggioranza clandestina, al confine con la Serbia. Ormai sappiamo che, oltre alle circa 80 mila persone che da febbraio sono già arrivate, ogni giorno continuano ad arrivare tra le 1.500 e le 2.000 persone per vie clandestine. C’è una situazione di assoluta emergenza e questo è chiaro. In questa situazione il governo reagisce in un modo e i cittadini ungheresi sono ovviamente divisi nel valutare la reazione governativa. Io posso esprimere solo un parere personale, magari condiviso da tante persone che conosco: non trovo istigazione xenofoba nelle parole e nelle dichiarazioni del governo. Diciamo che non vedo in giro molto dissenso, in generale. C’è comunque un grande dibattito politico riguardo proprio a come gestire la situazione. Quelli che criticano aspramente il governo sono generalmente dei circoli intellettuali legati all’opposizione politica, anche questo bisogna dirlo, e criticano il governo, lo accusano di voler mettere un freno al fenomeno dell’immigrazione, ma gran parte dell’opinione pubblica ungherese, almeno da quanto vedo io, è molto preoccupata per il numero degli arrivi, perché andando avanti così si arriverà a centinaia di migliaia, per forza di cose. L’Ungheria è un Paese piuttosto povero, diciamocelo chiaramente, per essere precisi, qui abbiamo uno stipendio medio che corrisponde a 500 euro al mese, senza parlare poi dei pensionati, dei disoccupati e di altre categorie sociali che si trovano veramente in difficoltà”. R. – Si tratta di una situazione inedita. L’Ungheria non è stata mai un Paese di immigrazione, al contrario siamo stati sempre un Paese da cui le persone, purtroppo, andavano via. C’è chi in questi giorni ricorda agli ungheresi questi fatti, dicendo: “Guardate, anche noi siamo stati accolti”. Ci siamo trovati davanti ad una situazione mai vista in questo Paese, ed è chiaro che le reazioni provocate da questo flusso di rifugiati ed immigrati sono varie, anche estremiste, razziste. C’è stata anche una reazione della società civile: le persone vanno nelle stazioni ferroviarie a portare il proprio aiuto ai profughi. Anche il popolo della rete, in modo veramente efficace e generoso, e sacrificando il proprio tempo libero, porta cibo e vestiti. Due anni fa, anche soltanto un anno fa, il fenomeno quasi non esisteva, sentivamo parlare della tragedia del Mediterraneo, ma ai nostri confini questi profughi hanno cominciato ad arrivare circa sei mesi fa. La loro presenza si è ora moltiplicata in modo veramente drammatico e devo dire che c’è una reazione di panico. Il popolo ungherese non conosce queste persone, non sa chi siano, i discorsi che vengono fatti sui media parlano del fenomeno, ma non parlano delle persone, delle loro storie, dei loro volti. D. – Le misure che sono state annunciate dal governo, come la costruzione di una barriera di separazione al confine tra l’Ungheria e la Serbia, i cittadini le condividono? R. – Secondo i sondaggi purtroppo sì. C’è un appoggio da parte della società che, secondo me, va però letto come una reazione di sorpresa e di panico. E questo perché il discorso di fondo la società non lo ha ancora affrontato: siamo nell’epoca della globalizzazione e, anche se noi siamo rimasti sorpresi da questa moltiplicazione di arrivi, globalizzazione vuol dire anche questo. Allora, c’è chi critica la globalizzazione e dice: noi ungheresi non abbiamo niente a che fare con questa gente e non siamo responsabili delle crisi, delle molte crisi, nel mondo che hanno provocato l’emigrazione di queste popolazioni. Purtroppo c’è un appoggio da parte della maggioranza della società, questo almeno secondo i sondaggi. Secondo me quello che dobbiamo fare, quello che la società civile può fare, è sottolineare che la solidarietà è la prima cosa che va considerata. Io spero che con pazienza e con reazioni e gesti di solidarietà da parte della società civile, anche la linea dura della politica si possa ammorbidire. Asunción.-"Santo Padre, de chico fui explotado y maltratado", contó con la voz quebrada Manuel de los Santos Aguilar, de 18 años, al Papa, en el encuentro con los jóvenes en la costanera de Asunción, el 12 de julio pasado. Pero no dio mayores precisiones sobre su vivencia antes de fundirse en un abrazo con Francisco. En 2007, Manuel tenía apenas 10 años y era un morocho bajito de cuerpo pequeño cuando sus padres lo entregaron a una familia conocida que lo llevó de un campo en Villa del Rosario, en el interior de Paraguay, a una chacra en las afueras de Asunción, a 230 kilómetros de su casa. La idea era que esa familia le ofrecería mejor calidad de vida y podría pagarle los costos de ir a una escuela primaria, algo que sus padres ya no estaban en condiciones de afrontar debido a que Manuel había llegado a quinto grado. Pero apenas pisó su nuevo hogar, lo encerraron solo en un galpón junto a la vivienda principal. Y a partir de entonces la dueña de casa empezó a despertarlo todos los días a las 2 de la mañana para hacerlo ordeñar las vacas y atender el campo. Luego le ordenaban preparar el desayuno de la familia, hacer la limpieza de la casa, el lavado de la ropa y ocuparse del resto de las comidas. Así hasta las 9 de la noche, cuando lo mandaban a dormir. Bangkok— Thai authorities are upset about being blacklisted by the U.S. for the second year in a row for failing to do enough to combat modern-day slavery. Sister Helen Prejean recalled a phone call she received last January from Richard E. Glossip, who had "put me down as someone he wanted to be present when he was executed." She accepted because, "I don't believe in working quietly or going quietly into that night" even she believes a person scheduled to receive the ultimate sanction of death is guilty. However, "In this case, I believe he is innocent." Prejean, author of a book that became the motion picture "Dead Man Walking," said Glossip had ineffective counsel at both of his trials. Discussing a U.S. Supreme Court decision upholding Oklahoma's execution protocols - and thus, clearing the way for Glossip's scheduled September 16 date with death - the nun jabbed at Supreme Court Justice Antonin Scalia for his defense of Oklahoma's legal system in the case of Glossip v. Gross. At a July 13 press conference hosted by the Oklahoma Coalition to Abolish the Death Penalty (OK-CADP), Prejean said, "I've met Richard Glossip. He should not die." She sought to persuade Oklahomans that even advocates of capital punishment should not support its imposition in this particular case: "The death penalty that you say you want in Oklahoma is not the death penalty you actually have in Oklahoma." She continued, "I've come to know the people of Oklahoma. They are decent and good people. I'm out here asking for monetary support, among other things. Sometimes I hear people say 'the lawyers are in it for the money.' That is, that we are hustling." She reflected that might seem the case, but added, "I am here to tell you that the death penalty in Oklahoma is broken. All over the country wardens and others who once participated in the death penalty have moved against it." Prejean and others made the case for Glossip's exoneration or a permanent stay of execution, despite the High Court's 5-4 ruling against him and other death row inmates. She encouraged reporters to study an investigative news report posted by "The Intercept" which raises a plethora of questions about the police investigation that led to Glossip's conviction. She said, "This investigative article documents the brokenness of the system." Continuing, Prejean said, "I feel sorry for juries. All they know is what they hear in the courtrooms." 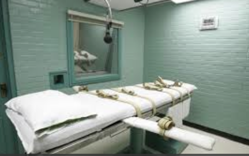 After the High Court's decision to sustain Oklahoma's protocols, including the use of the drug - as part of the mix of drugs to induce death, Prejean said, "There are only 2 or 3 avenues to stopping this execution. We need a state or federal court to say they will let what is called a 'successor petition' come in." Prejean encouraged those seeing videos of the press conference or reading news stories about it to visit the website RichardEGlossip.com, to contribute for the costs of researchers, investigators and attorneys to bolster the work of Colorado attorney Don Knight, who also addressed the gathering of reporters. In a lengthy presentation and in response to questions from the crowd of journalists, Knight pointed to a variety of factors, elements going beyond "reasonable doubt" in the case, that he says have never been explored. These include the comings and goings of other possible suspects at the hotel where Barry Van Treese was killed. The admitted killer, Justin Sneed, beat Van Treese to death with a baseball bat. Sneed testified that Glossip paid him to carry out the killing for hire of Van Treese, owner of the Inn where both he and Glossip worked. In exchange for Sneed's testimony, prosecutors did not seek his execution, but supported a life sentence without possibility of parole. Sneed's testimony and the contrasting treatment of him and Glossip are at the heart of the last-minute push to prevent Glossip's execution, an effort Knight, an attorney from Littleton, Colorado, is now leading. With Prejean and Knight were two Oklahoma political leaders. In brief remarks before and after the session with the press, state Rep. George Young said he was less concerned about the Ten Commandments monument on state property than about living the Ten Commandments in the laws passed under the Capitol Dome. Former state Sen. Connie Johnson, D-Oklahoma City, declared "the innocence of Richard Glossip" ... She characterized the state government's response to the U.S. Supreme Court decision was "disgusting and ironically predictable." She restated opposition to an upcoming state question she described as a means to "constitutionalize the death penalty in Oklahoma." Johnson asserted Glossip is "an innocent man, like Jesus. "If the state proceeds to murder Richard Glossip the story of Jesus will be repeated." She passionately encouraged state officials to take a fresh look: "By not executing Richard Glossip we not make an irreversible mistake." 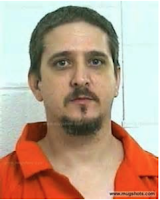 Countering contentions for Glossip's innocence, Donna Van Treese, the widow of Barry Van Treese, told Rick Green of The Oklahoman, "After 2 murder trials, 2 sets of jurors, and 18 long years, we know who murdered Barry, and there is no doubt. They have not been able to find Glossip innocent or any evidence of his innocence. We stand firm as a family to see this until the end." Progressive/liberal commentator Arnold Hamilton of The Oklahoma Observer, sat near this reporter during the press conference, which drew four television cameras and at least dozen print, online or broadcast journalists. It was one of the largest non-gubernatorial press events at the seat of Oklahoma government in recent years. In a column soon after, Hamilton reflected that no one wants "an innocent executed. After all, there are no do-overs if you later determine an individual was wrongly convicted." Responding to questions, Sister Prejean said Richard Glossip "feels God is close to him." Ines Harrath, avvocato tunisino: "Oltre 7 mila arresti dal 2012 a oggi. Bastano la barba o vestiti 'troppo musulmanì per far scattare le manette". In cella i detenuti spesso finiscono per confessare e le pene vanno "dai 5 ai 12 anni per terrorismo e fino a 5 anni per propaganda. Se si è preso parte a un'azione in cui sono morte delle persone - come nel caso di Abdulmajid Touil, 22enne marocchino arrestato in Italia con l'accusa di aver preso parte alla strage del Bardo - c'è la possibilità della pena capitale". "Arrestati, denudati, picchiati e torturati per strappare una confessione che, se non si è abbastanza forti, viene rilasciata anche se non corrisponde alla verità". Ines Harrath, avvocato tunisino, non nasconde la rabbia quando ripensa alle storie dei propri clienti finiti in carcere con l'accusa di essere dei terroristi. 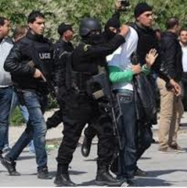 Decine di persone che, però, rappresentano una minima parte degli "oltre 7 mila arresti" per terrorismo ordinati in Tunisia negli anni dopo la caduta del regime di Zine El Abidine Ben Ali, dal 2012 a oggi. Quando il reato sospettato è quello di terrorismo, la discussa legge 75 del 10 dicembre 2003, creata ai tempi della dittatura militare e oggi sostituita dalla più restrittiva legge anti terrorismo del 27 luglio 2015, sembra giustificare qualsiasi azione da parte delle forze di polizia: "Bastano il tuo aspetto - spiega Harrat a Il Fatto Quotidiano, la tua barba o i tuoi vestiti che ti identificano come troppo musulmano per far scattare un arresto in piena notte". L'avvocato tunisino è uno dei personaggi che maggiormente si è esposto contro il pugno duro di Tunisi e alle leggi antiterrorismo in vigore. Tutti i suoi clienti sono accusati di far parte o di aver fatto propaganda in favore di qualche gruppo jihadista presente nel Paese. Se si entra sul suo profilo Facebook non si può non notare, in evidenza, la foto di Seifeddine Erraies, ex portavoce di Ansar al-Sharia in Tunisia e suo cliente: "Non ho problemi a parlare di Seif - dice - prima di essere un cliente è un amico". Tra i suoi difesi, però, ci sono anche e soprattutto storie più controverse, come quella dell'ingegnere 25enne Zied Younes, anche lui finito in una cella tunisina con l'accusa d essere il membro di un movimento terroristico: "Una storia veramente brutta - racconta, di cui si è interessata anche Amnesty International. Forse la storia più brutta con cui ho avuto a che fare. Zied è un ragazzo incredibilmente intelligente, detenuto nel centro delle Brigate Antiterrorismo (Bat) di Gorgeni. Dopo il suo arresto, è stato denudato, lasciato senza cibo, senza possibilità di dormire, schiaffeggiato, umiliato e colpito con strumenti di tortura. È ancora in carcere. La prova della sua colpevolezza? Il giudice sostiene che un video riguardante i combattimenti dei ribelli in Siria sia un elemento sufficiente a stabilire quale sia il suo credo". Se esiste un solo sospetto, anche un elemento di poca importanza che può, però, creare un collegamento tra la persona e l'estremismo islamico, sostiene Harrath, scatta l'arresto. Ad eseguirlo sono gli ufficiali delle Bat che, poi, "possono tenerti in stato di fermo per massimo sei giorni (diventati 15 con la nuova legge, ndr), prima che tu possa comparire davanti a un giudice. Già in quell'arco di tempo - dice l'avvocato - nel 99% dei casi il detenuto viene torturato per ottenere una confessione. È per questo che diffido sempre dalle confessioni degli imputati". La gestione della lotta al terrorismo in Tunisia è un problema che va avanti ormai da anni, con i vari governi che, nonostante il pugno duro, non sono riusciti a impedire la formazione di zone, soprattutto a sud del Paese, al confine con la Libia, quasi totalmente in mano ai terroristi legati ad Al Qaeda e, ultimamente, dello Stato Islamico. "Il governo ha voluto diffondere l'idea che tutto l'Islam al di fuori dei canoni che loro definiscono moderati sia sbagliato. Ha messo sullo stesso piano le correnti più radicali con i terroristi veri e propri, scegliendo la repressione e generando, così, sentimenti di vendetta. Anche per questo motivo i gruppi jihadisti sono potuti crescere". Dopo l'attentato del 18 marzo al Museo del Bardo, poi, la situazione è ulteriormente peggiorata: "L'atteggiamento di Tunisi e delle forze di polizia si è radicalizzato. Le torture sono diventate più dure da sopportare, le condizioni delle carceri, con celle sporchissime e che contengono fino a 120 detenuti, sono peggiorate, si arresta con più facilità e lo si fa anche con bambini di 13 o 14 anni. L'altro giorno è stata arrestata una ragazzina di 16 anni per un post che aveva pubblicato su Twitter". L’Associazione dei sacerdoti cattolici degli Stati Uniti (Auscp), si schiera compattamente con la Conferenza episcopale (Usccb) per chiedere l’abolizione della pena di morte nel Paese. un comunicato esprime il pieno sostegno nella “preghiera e nella testimonianza pubblica” dei sacerdoti statunitensi alle reiterate prese di posizione dell’episcopato contro la pena capitale. Il comunicato giunge a pochi giorni dalla nota “Per costruire una cultura della vita, la pena capitale deve essere abolita” diffusa dalla Usccb in occasione del decimo anniversario della campagna contro la pena di morte, lanciata dai vescovi americani nel 2005. Nel documento, firmato da mons. Thomas Wenski dal card. Sean O’Malley, presidenti, rispettivamente, della Commissione per la giustizia e lo sviluppo umano e del Comitato in favore della vita, i presuli auspicavano che nel Paese si smetta di “cercare di insegnare a non uccidere, uccidendo gli assassini”, perché “questo circolo vizioso di violenza sminuisce tutta l’umanità”. Francia, oltre 2000 migranti invadono l'Eurotunnel e si aggrappano al treno per Calais, 15 feriti, 200 arresti. Parigi - Nella notte tra ieri e oggi, oltre duemila migranti hanno invaso la zona d'ingresso nel tunnel sotto la Manica, sulla sponda francese, per tentare di raggiungere la Gran Bretagna. Lo rivela il sito del quotidiano Le Figaro. "E' stato il più grande tentativo di incursione nella struttura", ha detto un portavoce del gruppo che gestisce l'infrastruttura. Nella serata di ieri la tensione ha iniziato a salire intorno alle 22, quando oltre 2.000 migranti hanno iniziato a radunarsi all'entrata del tunnel. "Di solito sono 500, o magari 800, ma un'intrusione così è una cosa mai vista - racconta un poliziotto - E con 90 colleghi per mettere in sicurezza tutto l'interno e l'esterno del tunnel, che ha 23 chilometri di perimetro, ovvero due terzi della città di Parigi, è stato ovviamente difficile, per non dire un gran caos". I disordini sono durati fino alle 6 del mattino, e hanno fatto una quindicina di feriti tra i migranti, in gran parte persone cadute tentando di saltare sulla 'navetta', il lungo treno merci e passeggeri che collega Calais a Dover, all'estremità britannica del tunnel. Nella zona in cui si sono radunati i migranti, spiegano ancora gli agenti, i convogli vanno a una velocità tra i 30 e i 50 chilometri all'ora, e di notte la gran parte delle carrozze sono carrozze merci scoperte, su cui è più facile saltare o trovare un appiglio, cosa che le rende uan delle 'prede' preferite di chi cerca di passare dall'altro lato della Manica. Il bilancio della notte di disordini è di 200 migranti intercettati, 1.900 "respinti", ovvero rinviati verso il vicino accampamento detto 'Nuova giungla', e una quindicina fermati per essere interrogati. 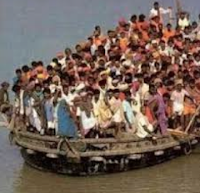 Ma avrebbe potuto essere ben più grave, sottolineano le forze dell'ordine, ricordando che nei mesi scorsi sono almeno 8 i migranti morti tentando di salire clandestinamente su un treno. 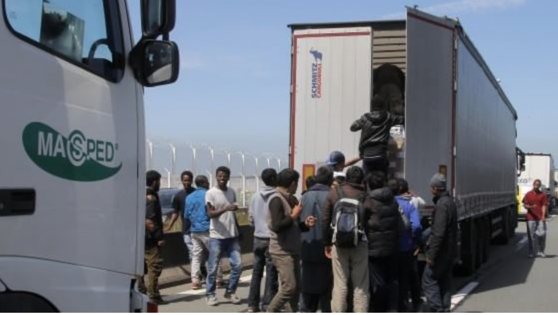 Il ministro dell'interno britannico Theresa may ha annunciato oggi lo stanziamento di altri 7 milioni di sterline (10 milioni di euro) per rafforzare la sicurezza nei terminal di imbarco dell'Eurotunnel a Coquelles, nel nord della Francia, al termine del suo incontro con l'omologo francese Bernard Cazeneuve. i paesi. La Francia ha già rafforzato il proprio dispositivo di polizia. Il governo del Regno Unito stanzierà altri 7 milioni di sterline per la sicurezza a Coquelles", ha detto May. I 7 milioni si aggiungono agli oltre 15 stanziati in precedenza. Epoch TimesDa 16 anni in Cina decine di milioni di persone innocenti stanno subendo una persecuzione brutale, che comprende l'arresto, la tortura, il licenziamento dal lavoro e il lavaggio di cervello. Era il 20 luglio 1999 quando Jiang Zemin, allora leader del Partito Comunista Cinese (Pcc), mobilitò le forze dello Stato per sradicare il Falun Gong e i suoi praticanti. 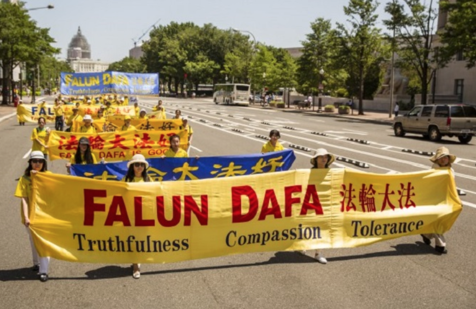 Il Falun Gong (o Falun Dafa) è una disciplina meditativa che insegna i principi di verità, compassione e tolleranza, ed è stata diffusa pubblicamente nel 1992 in Cina. Secondo il governo cinese nel 1999 c'erano tra i 70 e i 100 milioni di praticanti in Cina, tra cui molti membri di alto livello del Pcc. Jiang lanciò la persecuzione contro il Falun Gong poiché temeva che i suoi insegnamenti avessero la meglio sull'ideologia marxista professata dal regime. In realtà Jiang temeva di perdere il potere, a cui era decisamente attaccato, e vedeva nel grande numero dei praticanti del Falun Gong – superiore agli iscritti al Pcc – una minaccia alla sua sopravvivenza sulla scena politica. Decise quindi di sradicare la pratica, autonomamente, senza il consenso degli altri membri del Comitato Permanente del Politburo del Pcc, il massimo organo politico in Cina. Per Jiang «nessun mezzo era eccessivo» nel gestire il Falun Gong e «le morti sarebbero state contate come suicidi», secondo alcuni funzionari del Pcc che hanno disertato. Jiang ha anche istituito l'Ufficio 610, un organo statale extralegale con lo scopo di diffamare la reputazione dei praticanti, rovinarli finanziariamente e distruggerli fisicamente. Secondo il Falun Dafa Information Center oltre 3.800 praticanti sono morti per tortura. La brutalità della persecuzione ha raggiunto l'apice nella pratica del prelievo forzato d'organi. Nel 2006 l'avvocato per i diritti umani David Matas e l'ex segretario di Stato canadese David Kilgour, hanno condotto in un'indagine indipendente dimostrando che il personale militare e sanitario nelle carceri e negli ospedali cinesi rimuove forzatamente gli organi dei praticanti del Falun Gong ancora in vita per scopo di lucro. Secondo il loro rapporto tra il 2000 e il 2005 quasi 41.500 praticanti sono morti per questo motivo, ma il numero reale potrebbe essere molto più alto. «Credo che il nostro governo dovrebbe prenderne atto e fare qualcosa. In Commissione dei Diritti umani abbiamo parlato di questi problemi e ne abbiamo parlato con tanti colleghi. In alcuni c'è la paura che alzare troppo la discussione crei dei problemi per i trapianti normali. Niente di tutto ciò secondo me – se la comunicazione è giusta, seria, nelle sedi opportune e con i toni opportuni, non sussiste questo pericolo», ha detto Lia Quartapelle, segretario della Commissione Affari esteri della Camera. La Quartapelle è convinta che parlare del fenomeno del prelievo forzato d'organi non causi ripercussioni negative nel trend dei trapianti d'organi in Italia. Sedici anni dopo l'inizio della persecuzione, i praticanti del Falun Gong al di fuori della Cina continuano a esporre la verità sulla persecuzione. Veglie a lume di candela, attività pubbliche, sit-in pacifici presso le ambasciate e consolati cinesi e manifestazioni con il supporto di politici sono le attività più comuni per sensibilizzare le coscienze. Anche in Cina i praticanti espongono striscioni e manifesti in pubblico, e parlano con le persone per risvegliare un miliardo e mezzo di persone. Abdul Basit, 43, was convicted and sentenced to death for murder in 2009. In 2010, he contracted tubercular meningitis in prison, which left him paralysed from the waist down. Despite being unable to stand, and reliant on a wheelchair, a ‘Black Warrant’ issued last week scheduled his execution for July 29th. The Lahore High Court today upheld an appeal by lawyers for Basit who argued that his execution would constitute cruel and unusual punishment, violating the fundamental right to human dignity enshrined in Pakistan’s Constitution. 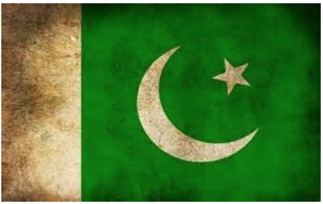 The Pakistan Prison Rules of 1978 – the statute regulating executions – state that the rope for hanging must be the correct length, in order to avoid prisoners facing protracted strangulation (if it is too long) or decapitation (if it is too short). The rules state that the rope’s length is determined by measuring it from “the lower jaw of the condemned prisoner as he stands on the scaffold.” This and other procedures set out in the Prison Rules cannot be followed in Basit’s case, leaving open the possibility of a botched hanging. The Court has now given the government two weeks to respond to the appeal with a hearing scheduled for August 17th. Pakistan’s law makes provisions for mercy to be granted in cases where prisoners are suffering from severe “ill-health”. The Government’s failure to acknowledge this and commute Basit’s sentence appears to form part of a worrying trend involving the blanket dismissal of all mercy petitions considered since executions resumed in 2014. 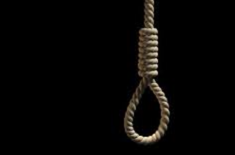 Over 180 prisoners have been hanged in Pakistan’s recent rush to the gallows and recent reports suggest that many more who have now had their mercy petitions dismissed without proper consideration may be next in line. Among them is Shafqat Hussain, convicted and sentenced to death when under 18, who was yesterday issued with a ‘black warrant’. His execution has been set for August 4th despite widespread concerns over torture and the government covering up evidence – notably a school record – that could prove his age. As I stood in the middle of the squalid Kara Tepe transit camp on Lesbos, I was struck by the utter perverseness of the refugee drama unfolding on this Greek island. I was supporting a flash-mob of local volunteers and tourists – supported by local officials – to clean the camp, which is now a temporary home for 3,000 refugees. Litter was everywhere – and posing a health risk. The selflessness and dedication of the local volunteers, who have been responding to the crisis virtually unaided for several years, is awe-inspiring. As I picked up the trash under a searing sun, four questions came to my mind, the answers to which should make us all uncomfortable. First, why is the crisis repeatedly referred to by the media and by officials in European capitals as a “migrant” crisis? Here, in Greece, nothing could be further from the truth. According to the most recent figures from the United Nations High Commissioner for Refugees, of the more than 77,000 arrivals in Greece since the beginning of the year, 85% are refugees. 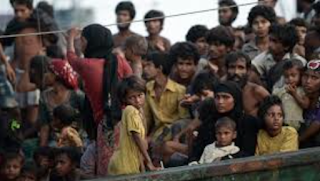 More than 60% of these are fleeing the conflict in Syria, with others escaping continued violence in Afghanistan. Likewise, the majority of people arriving nearby in Italy are fleeing armed conflict in Somalia or conscription in Eritrea. Even among those who are not refugees, many arriving on Europe’s shores are vulnerable for other reasons. Some are unaccompanied children, or victims of sexual trafficking, or have been tortured and traumatised as they made their way across the Sahara to Africa’s Mediterranean coast before eventually reaching Europe. Refugees and other vulnerable people deserve the protection and assistance to which they are entitled under international law. Second, this crisis was not unexpected. For some time, the International Rescue Committee (IRC) and others have warned that countries neighbouring conflict areas are reaching their maximum capacity to absorb any more refugees. 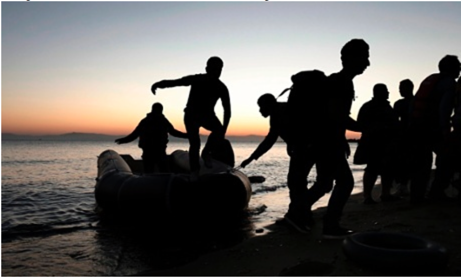 Without legal alternative routes for refugees to enter other European countries, people fleeing conflicts in the Middle East, Africa and elsewhere have taken matters into their own hands, risking their lives – often on flimsy rubber dinghies across dangerous stretches of the Aegean and Mediterranean – to seek the sanctuary of Europe. With more people displaced by conflict globally than ever before– 59.5 million – Europe has to recognise that this problem is not going away, and that it needs to respond meaningfully to provide help. Third, why has much of the world looked away from the crisis in the Mediterranean? The IRC is built to respond to emergencies in some of the poorest and most conflict-ridden countries. That we have had to deploy an emergency response team to Europe to make sure refugees receive clean water and have access to toilets, rather than defecate in the open, is a sad commentary on the state of affairs in the region. For far, far too long, local Greek officials and volunteers have had to shoulder this burden, and at a time when they have had to endure paralysing austerity measures and the most recent financial crisis. Despite these hardships, the compassion and generosity of local groups has put the international community to shame. And, the refugee crisis in Greece is only likely to get worse. Local officials and aid experts estimate that 200,000 refugees will come to Greece this year. This will undoubtedly overwhelm the primarily local-led relief efforts. Europe also needs to provide more support to Greece so that it can provide a humane and dignified reception for refugees. When they arrive on Lesbos, refugees are not provided with medical check-ups or other assistance, aside from that provided by community volunteers. 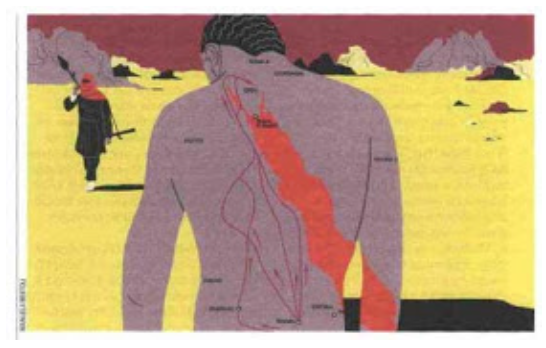 Until very recently, refugees often walked 40 miles, often in 32C (90F) heat, from the northern coast where they landed to the Kara Tepe transit camp. This is simply cruel. Fourth, why have European members states continued the ongoing asylum charade, forcing refugees to further risk their lives by requiring them to furtively travel to their desired asylum destinations? Europe’s asylum policies mean that a refugee has to apply for asylum in the country where he or she first arrives, which for those coming from Libya and Turkey almost always means Italy or Greece. Desperate to rejoin family members in other European countries or to live where there are real job prospects, many people avoid registration and continue their journeys illegally. Would it not be more humane to allow these vulnerable groups to seek asylum at European embassies in Athens, or better yet, in European embassies in their home regions? Or at the very least ensure safe passage to their desired onward destinations – often to be reunited with waiting family members? As it stands, refugees who reach Greece are then forced to travel through Macedonia, Serbia and Hungary to other destinations in Europe, a route making them vulnerable to human traffickers, gangs and corrupt officials. Ultimately, at what point do we all conclude that these people have already suffered enough and deserve to be aided in their flight to safety? At the International Rescue Committee, we have already made this decision. Lo scrittore israeliano David Grossman: "l'occupazione della Palestina è inconcepibile"
"Israele ha occupato la Palestina 48 anni fa, per me da israeliano questa è una cosa inconcepibile". 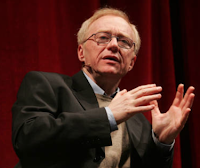 Così lo scrittore David Grossman, intervenuto a Futura Festival di Civitanova Marche. "Non c'è stata una singola trattativa negli ultimi sei anni - ha aggiunto - con in mente il raggiungimento della pace. I due popoli e i rispettivi leader sono in posizioni sempre più fondamentaliste, e dimenticano che l'immobilismo attuale non è una condanna divina, ma c'è un'alternativa". Tredici cadaveri sono stati recuperati nel pomeriggio di ieri su un barcone diretto verso l'Italia, raggiunto da mezzi di soccorso al largo delle coste della Libia. Sullo stesso barcone vi erano altri 522 migranti che sono stati tratti in salvo. Non sono chiare al momento le cause del decesso dei 13 migranti. L'interevento di soccorso è stato coordinato dalla centrale operativa di Roma della Guardia costiera che, ricevuta una richiesta di intervento, ha inviato in direzione del barcone la nave Le Niam della Marina militare irlandese inquadrata nel dispositivo Triton. Dal barcone l'equipaggio ha recuperato i tredici cadaveri ed i superstiti. 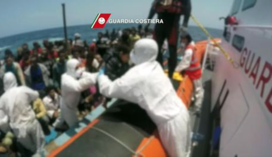 Nella giornata di ieri sono stati 1810 i migranti soccorsi nel Canale di Sicilia in cinque distinte operazioni, tutte coordinate dal centro nazionale soccorsi della Guardia costiera. Ai soccorsi, oltre alla nave della Marina militare irlandese, hanno partecipato due unità di Medici senza frontiere ed un pattugliatore svedese. Ginevra - I rifugiati hanno dichiarato di essere fuggiti dagli attacchi dei militanti nello stato di Borno in Nigeria. Per ragioni di sicurezza l'Unhcr ha accesso limitato nella regione dell’estremo Nord, ma si stima che il numero di rifugiati registrati in quella zona possa essere di circa 12 mila unità. Le autorità camerunesi dicono che il numero potrebbe toccare le 17 mila unità. Nella regione di Diffa, nel sud del Niger, le autorità segnalano che nei giorni scorsi sarebbero arrivate circa 2.500 persone provenienti dalla Nigeria in seguito a un attacco da parte delle milizie della città nigeriana di Damassak all'inizio della scorsa settimana. I nuovi arrivati sono soprattutto donne, bambini e anziani, giunti nei villaggi di frontiera di Chetimari e Gagamari, a 20 chilometri da Damassak. Sixty mass graves have been uncovered in the southern Mexican state of Guerrero during a search for 43 student teachers abducted last September, official documents have revealed. The attorney general's office says the remains of 129 bodies have been recovered from the graves. 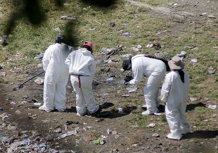 None of the remains have been linked to the students who vanished in Iguala. The information was released after a freedom of information request by the Associated Press. The majority of the bodies are male, but the remains of some 20 women were also found. The unmarked graves were discovered during the huge investigation into the disappearance of the 43 students. The number of mass graves found from October to May could be higher because the information given to AP only covers instances in which specialists became involved. The students, from a teachers' college in Guerrero, had travelled to Iguala and, as part of a protest, commandeered a number of buses. The government says the 43 were intercepted by police and handed to members of a drugs gang who killed them and incinerated their bodies. Gang members confessed to killing the students and burning their bodies after they were mistakenly told they belonged to a rival gang. The badly burnt remains of one student have been found at a rubbish dump, but many families of the remaining 42 refuse to believe the students are dead. Correspondents say the case has highlighted the huge number of people who have gone missing in Mexican states where drug violence is widespread. Il governo conservatore australiano continua la sua (non) politica sull’immigrazione: riportarli tutti a casa. O, al limite, chiuderli nei centri di detenzione sulle isole del Pacifico. 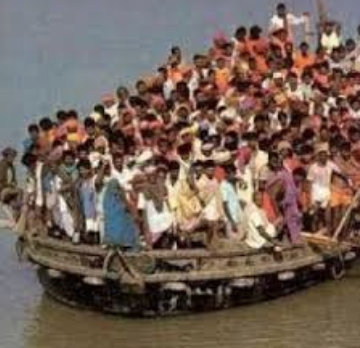 L’Australia ha uno dei regolamenti più rigidi al mondo sulla questione immigrazione e per l’Europa diviene sempre più un modello anche se buona parte dei respingimenti che il governo esegue ogniqualvolta si avvicina una nave con a bordo rifugiati, resta nascosta ai media internazionali. Ma non questa volta. Il governo australiano mercoledì scorso ha fatto sapere che una nave di legno con a bordo decine di richiedenti asilo vietnamiti era stata avvistata al largo del porto nord occidentale di Dampier. Il ministro per la Protezione dei confini Peter Dutton ha dichiarato che non avrebbe diffuso ulteriori dettagli sulla condizione degli uomini, delle donne e dei bambini che si trovavano sull’imbarcazione. Ma ha fatto sapere che il governo avrebbe lavorato per trovare un accordo con il governo del Vietnam, per rispedire a casa quei cittadini che avrebbero dimostrato di non essere dei veri rifugiati. La politica dei respingimenti in Australia sembra l’unica, vera soluzione trovata finora dal governo conservatore di Tony Abbott ai flussi di immigrati che arrivano nel paese. Alcuni gruppi di diritti umani hanno denunciato il governo australiano per aver tenuto nascosto un gruppo di 46 richiedenti asilo vietnamiti su una nave da guerra in mezzo al mare, per quasi un mese, e di aver controllato i regolari documenti dei passeggeri, sempre in mare. Pratica molto diffusa in Australia e denunciata dall’Unhcr stessa. Ma così il governo evita ai rifugiati di far mettere il piede in terra australiana. Doan Viet Trung, membro del gruppo per i diritti umani in Australia, ha dichiarato che sull’imbarcazione rimandata indietro ci sarebbero state circa 45 persone, che avevano iniziato il loro viaggio il 2 luglio scorso. Questi hanno lanciato la richiesta di asilo, dopo che il peschereccio con cui sono partiti dal Vietnam è stato affondato dalla marina cinese nei pressi delle isole Spratly, contese tra Cina, Giappone, Filippine e appunto Vietnam, nel Mar Cinese Meridionale. Le navi dei richiedenti asilo provenienti dal Sud est asiatico vengono regolarmente fermate in Australia, dal momento che due anni fa il governo ha cominciato le politiche dei respingimenti, ma nonostante questo, i profughi pagavano dei trafficanti per farsi portare sulle coste del paese. Tutti coloro che non vengono respinti, vengono comunque chiusi nei centri di detenzione dislocati sulle isole del Pacifico, come sull’isola di Nauru o in Papua Nuova Guinea. 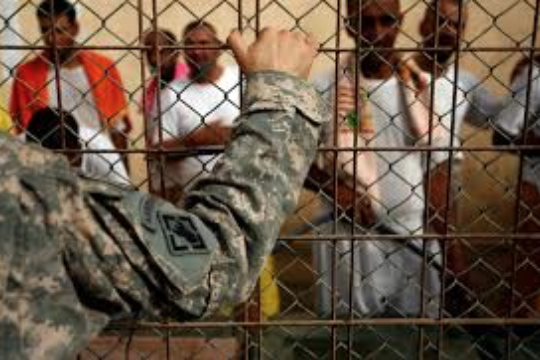 Celebre quello di Manus Island, la ‘Guantanamo del Pacifico’. Riportiamo una storia di dolore e di speranza raccontata da Andrea Riccardi su SETTE, nella rubrica "Religioni e Civiltà" di questa settimana. Quella di Alganesh Fessaha, cristiana di origine eritrea e dello sheik Awwad Mohammed Ali Hassan, divisi dalla storia e dai confini, uniti nell'impresa di aiutare le migliaia di eritrei in fuga dalla disperazione, quelli che in molti chiamano i "dannati del deserto". Nella penisola del Sinai, l'esercito egiziano sta combattendo in questi giorni i gruppi terroristici schieratisi con il "califfato". Da dietro la frontiera, gli israeliani, preoccupati, monitorano l'immensa area fuori controllo, dove si rischia l'insediamento terrorista. Fino a poco tempo fa, nell'apparente tranquillità del deserto biblico, si è svolto uno "scontro di civiltà" sulla pelle dei "dannati del deserto": i tanti rifugiati eritrei nel Sinai. Liberarli oppure sfruttarli come schiavi fino a ucciderli? Quasi nessuno ha seguito questa tragedia umana, che ha coinvolto, per dieci anni, circa 30.000 persone in una terra abitata dai beduini. Solo una donna, Alganesh Fessaha, eritrea d'origine (ora cittadina italiana), se n'è accorta, ha lanciato l'allarme e si è mossa per aiutare. Tanti giovani eritrei, per sfuggire al servizio militare (praticamente illimitato nel Paese dal 2001), hanno pagato il passaggio fino al Sinai attraverso Sudan e Egitto, con la speranza di arrivare in Israele. I più fortunati sono finiti nel carcere egiziano in condizioni impossibili. 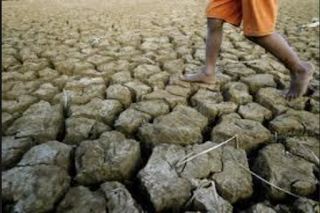 Altri hanno vagato nel deserto. Alganesh, con il suo telefonino, ha cominciato a rispondere agli appelli dei disperati. È andata tante volte nel Sinai. Sono rotte pericolose per chi è donna e cristiana. Qui ha incontrato un giovane religioso musulmano, Io sheik Awwad Mohammed Ali Hassan, responsabile di una moschea. Parla di lui con riconoscenza: «Mi protegge come fossi sua sorella». Si è stabilita tra loro una collaborazione coraggiosa per liberare gli eritrei rapiti dalle bande beduine, vere mafie che commerciano esseri umani e chiedono il riscatto alle famiglie. Almeno un eritreo su tre è morto nel deserto. Le donne sono state spesso violentate. Ci sono indizi di espianti di organi. Un rapporto dell'Onu, nel 2012, parla di un traffico organizzato di esseri umani dall'Eritrea verso i beduini del Sinai. Alganesh ha fondato una ong, Gandhi, che libera gli eritrei prigionieri in Egitto, a volta intere famiglie: circa 5000 in dieci anni. TESTIMONI DI ORRORI. Mohammed e Alganesh insieme hanno salvato 750 persone, strappandole dai beduini, dalla schiavitù e dalla morte. I due sono stati testimoni di orrori: fosse comuni, corpi segnati dalle violenze. A volte, durante le torture, gli eritrei sono stati costretti a telefonare ai familiari in Europa e America, per implorare il riscatto. Alganesh e Mohammed, la cristiana e il musulmano, hanno fatto una vera scelta di civiltà: salvare vite umane. Ho chiesto a Mohammed perché facesse tanto per i rifugiati (cristiani soprattutto, ma anche musulmani), nascondendoli nella moschea o in casa con rischio personale: «Sono uomini come me, non posso lasciarli morire così», ha risposto. È un musulmano senza particolare propensione al dialogo interreligioso. Ma per lui quei "dannati del Sinai" sono esseri umani: vanno aiutati. Per i banditi beduini invece, si tratta di non-uomini: oggetti da commerciare e su cui usare violenza. Ma oggi, per Mohammed, che è isolato nel Sinai, c'è un nuovo dramma: la guerra e le milizie del califfato. 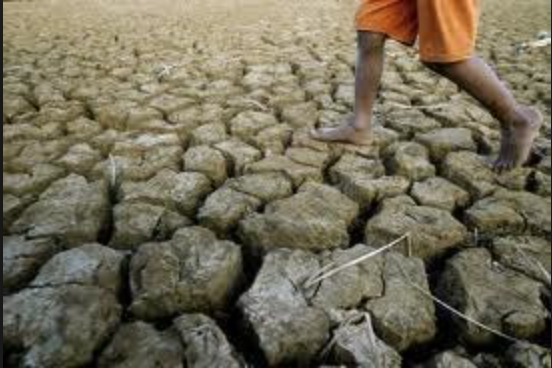 “L’Organizzazione Internazionale per le Migrazioni ha recentemente stimato che i rifugiati climatici aumenteranno fino a 200 milioni nel 2050. Cio’ significa che i 30 milioni di persone che oggi sono vittime di schiavitu’ moderna sono, purtroppo, destinati ad aumentare”. Cosi’ il sindaco di Roma Ignazio Marino e’ intervenuto al workshop “Modern slavery and climate change: the commitement of the cities” in Vaticano. Marino ha citato l’enciclica “Laudato Si'” di Papa Francesco e l’esempio di “Kiribati, un gruppo di 32 isole nel Pacifico, alcune delle quali sono gia’ pienamente sommerse a causa dell’innalzamento del livello del mare. “Di fronte a questi tragici eventi abbiamo il dovere morale di agire ora – ha detto -. Se i leader mondiali devono raggiungere un accordo internazionale, legalmente vincolante, i sindaci non possono fare un passo indietro: abbiamo il dovere morale e scientifico di costruire citta’ sostenibili”. Amnesty International’s latest report on Iran states the regime executed 694 people between January 1 and July 15. This means the country averages at least three executions a day. Courts found the majority of the executed guilty of drug offenses. A new law allows the death penalty for numerous drug charges, “including trafficking more than 5kg of narcotics derived from opium or more than 30g of heroin, morphine, cocaine or their chemical derivatives.” Amnesty found no evidence that a death penalty sentence lowers drug use or trafficking. In fact, despite the harsh new law, “methamphetamine production and abuse of hard drugs are skyrocketing.” Officials say at least 2.2 million Iranians are addicted to drugs. Only 1.3 million are in a rehabilitation program. Iran hanged eleven prisoners a day before Amnesty released their report. Ten prisoners lost their lives at the Gohardasht Prison of Karaj, while another died at the Esfaham prison. The regime executed 65 people in one week during April. I genitori della tabaccaia di Asti uccisa aiuteranno la figlia dell'omicida. 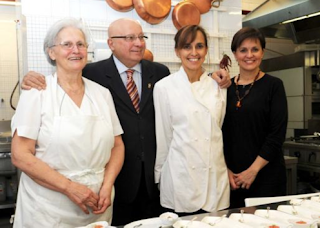 "Non lasciarsi andare al risentimento"
Quell’abitudine ad alzare lo sguardo oltre il proprio orizzonte, misto ad un desiderio di aiutare chi è in difficoltà, ha «contagiato» quasi geneticamente anche i due figli di Maria Luisa. Agnese, 19 anni, è in partenza per un ritiro di preghiera al Santuario di Oropa. Lo stesso dove la mamma si lasciava spesso condurre dalla sua amata Vespa. A volte partiva all’improvviso, in compagnia della sorella Maura. «Eravamo già felici prima di iniziare il viaggio - racconta lei -. Ci riempiva di gioia, di energia vitale, metterci in sella e trascorrere qualche ora al Santuario». E Giacomo, il primogenito di Maria Luisa e del marito Valter Vignale, appena si è laureato in lettere a Torino, ha scelto di dedicare una parte delle sue vacanze estive a lavorare per una Ong, in Africa. Negli ultimi mesi “Migia”, come veniva chiamata in casa Maria Luisa, aveva scoperto un «posto meraviglioso» dove andare a pregare. «Lei lo chiamava così - ricorda Maura -. Un giorno mi ha chiamata, era entusiasta, per raccontarmi di questa novità». Era entrata quasi per caso, a pregare, nel Santuario degli Oblati di San Giuseppe, nel centro storico di Asti, lontano dalla parrocchia sul Lungotanaro dove di solito andava con il marito e i figli. «Devi assolutamente venire - mi disse - C’è un profumo meraviglioso di fiori e una pace che disseta l’anima». Anche la sera prima di essere uccisa, Maria Luisa era andata lì, come faceva oramai quasi tutti i giorni. «La ricordo bene. Occhi assorti e limpidi che non dimenticherò mai» racconta il parroco.